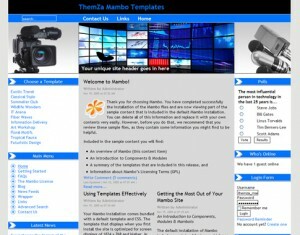 The Pure Nature Mambo template consists of a main content area and 2 neighbouring sidebars. You can set a colour skin for the banner area and the sidebars choosing between green, blue and brown. 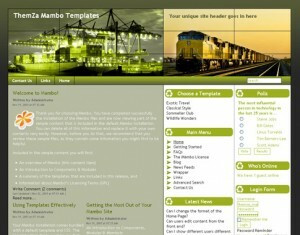 The Freight Services Mambo template is offered in a 3-column layout configuration and supports green, blue and brown colour schemes. 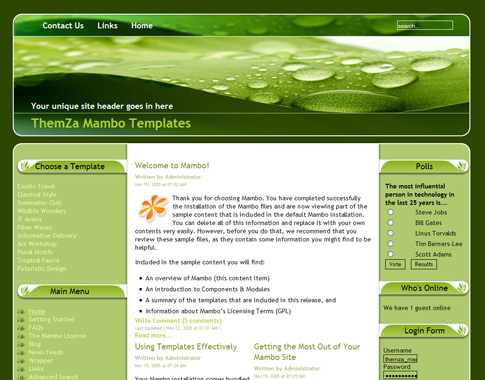 The Galaxy Explorer Mambo template supports a few colour options for the right sidebar area and the text links throughout the whole site (orange, green and red). You can customize the Global News Mambo template to your taste by choosing between blue, green and yellow colour schemes for the menu headers and text links. 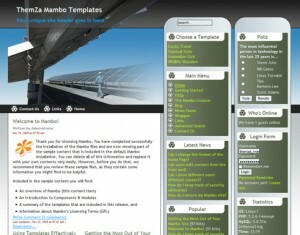 A choice of green, yellow and red colour options will let you customize the Green Energy Mambo template to your website look&feel taste. 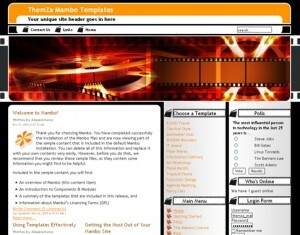 The Movie Mania Mambo template offers a 3-column layout setup and supports yellow, blue and red menu header and text link options. 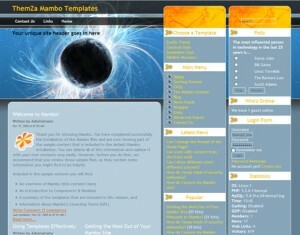 The Party Zone Mambo template is offered in various colour schemes for the menu headers in the sidebar area and the text links – red, blue, violet. This entry was posted on Sunday, July 25th, 2010 at 3:20 pm	and is filed under Mambo. You can follow any responses to this entry through the RSS 2.0 feed. You can leave a response, or trackback from your own site.